HID's Indala FlexCard® standard clamshell card is "credit card" length and width, features beveled edges, and can accept photo-flap and direct-print adhesive-backed ID badge overlays. The durable ABS card construction makes Flexcard a good choice for warehouse, factory and university applications. HID's Indala FlexISO Imageable Card is ISO 7810 compliant with a nominal thickness of 0.03 inches (0.76 mm), and has the ability to contain multiple ID technologies in a single credential. The card can include a magnetic stripe for use with other systems, such as cafeteria vending, copy machines and fuel dispensing. FlexISO® XT integrates Indala brand breakthrough FlexSecur® proximity technology within a card body designed to withstand the most extreme applications. Unique composite formulation enhances the structural integrity of the card, providing additional protection of the core electronics. The FlexISO® XT is particularly effective in applications that require magnetic stripe and/or barcode transactions. The HID Indala Flexkey has a contemporary design enables it to be easily attached to a key, badge clip, or badge lanyard. The FlexKey is ideally suited for a variety of applications and environments including vacation resorts, locker rooms, health spas, apartment buildings, club houses, as well as commercial offices where photo IDs are not required. 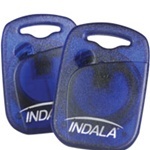 HID's Indala FlexTag™ can turn your plastic ID badge into a proximity credential. Effortlessly upgrade from magstripe or barium ferrite technology, or add prox to your smart card, by simply attaching the small, circular FlexTag to your existing card. 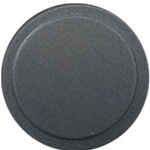 The FlexTag will also adhere to any non-metallic device, such as a cell phone or PDA, to create an instant proximity badge.